Restore Home or Office Security Without Changing your Locks. Are you looking for a better solution for replacing the whole lock? 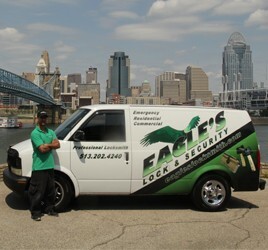 Inquire about Eagle’s Locksmith Cincinnati lock re-keying option. 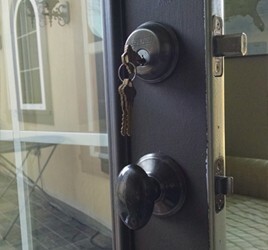 If you’ve just moved into a new apartment, house or commercial space, re-keying your locks is an option to think about. If someone previously lived where you currently reside, you don’t know how many copies of your keys exist. Our locksmith technicians can rekey your lock to fit a new key so that the old one will no longer fit. Re-keying can be done without having to replace the actual lock. By re-keying your door locks, you will establish a universal lock system that leaves all your doors and locks subject to a master key. By doing so you are no longer dependent on conserving a multitude of different keys that can easily become misplaced. 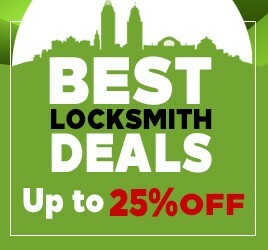 The technicians at Eagle’s Locksmith Cincinnati can rekey all the doors in your home or commercial establishment. We service all lock re-keys for houses, apartments, offices, safes and gates. We operate on a 24 hour basis because we understand how urgent these situations can be, so we’re always available to assist you. Our technicians will arrive promptly to your location after your call is received. Our specialists will work quickly and discretely to get you safely back into your home or commercial institution. If you are in need of our lock re-keying service or any other locksmith service, give us a call at Eagle’s Locksmith!